Learn more about June Montagne! It is desirable to speak with you directly to find out alternate preferences on dates and locations together with suggesting what type of yacht would suit your group the most for the perfect charter yacht vacation. You are welcome to contact us at any time between 9 am and 5 pm Eastern Time, as we are situated in Fort Lauderdale, Florida at 954-612-4304. Please complete the form below in order for us to email you further information on links to yachts as well as their appropriate rates and details. All information supplied is free. 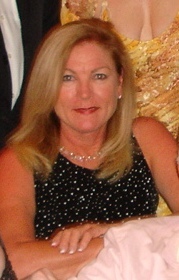 June Montagne became a yacht charter broker in 1996 and with her experience in the yachting industry was a natural asset to any yacht charter company. After a number of years racing along the South African coastline, June sailed out of Cape Town, South Africa, in 1983 and crewed on various sailing and motor charter yachts in the Caribbean. She settled in Antigua, Caribbean for four years where she worked closely with charter yachts and crews in the area. She then relocated to the Yachting Capitol of the World, Fort Lauderdale in Florida and became involved in the yacht crew placement business. With June's knowledge of sailing, the islands of the Caribbean and her close relationship with a number of the crews, becoming a yacht charter broker seemed a natural succession and she is now the President of her own yacht charter company; June Montagne Yachts, Incorporated. June is also affiliated with OCEAN INDEPENDENCE in Fort Lauderdale who in addition to charter offer yacht sales, new construction, yacht and charter management worldwide. With over 20 years of experience in the yachting industry; working with yacht owners, their crews and guests, June offers a personal, confidential, customized and professional service to all her clients.